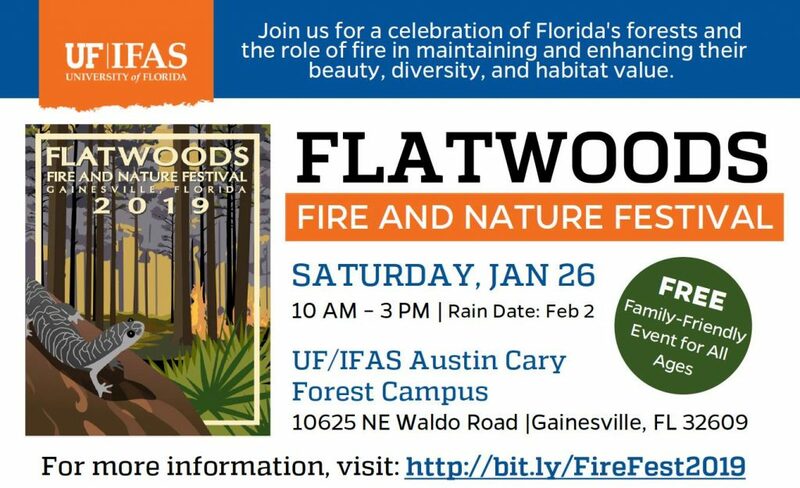 USDA’s Natural Resources Conservation Service (NRCS) in Florida invites everyone to attend the Flatwoods Fire and Nature Festival, January 26, 10 a.m.-3 p.m. on the University of Florida’s Austin Cary Forest off Waldo Road in Gainesville, FL. During the family-friendly festival, you can enjoy prescribed fire demonstrations, fire ecology tours, live wildlife, live music, food trucks, exhibits, quail mascot Burner Bob and activities for all-ages. The event is being hosted by various folks including the University of Florida/IFAS School of Forest Resources & Conservation. Learn more by clicking here.